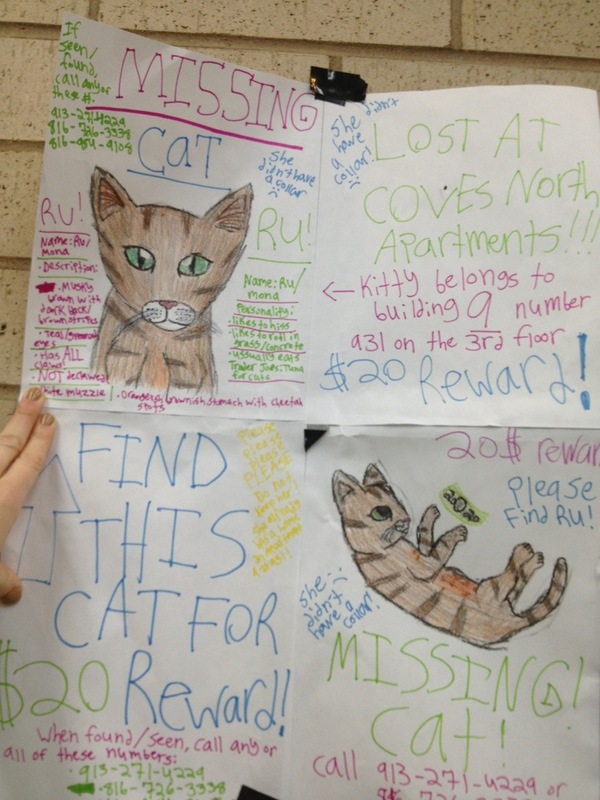 I saw this lost cat sign at a HyVee in Kansas City, MO. 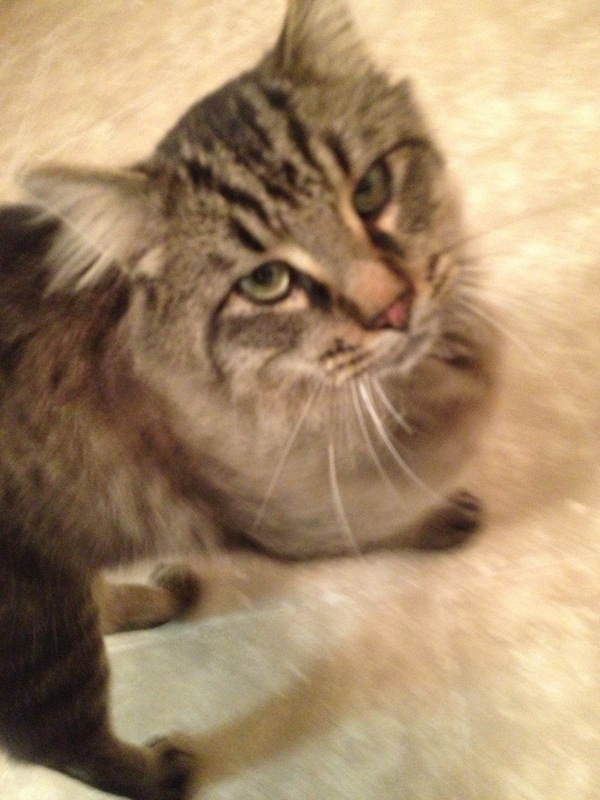 Ryan found this cat in Inver Grove Heights, MN. Looks like we found it three states away?